Did you know that you can treat bruxism? It is true. You do not have to live with the constant pressure of grinding or clenching your teeth any longer. It just takes coming in to see us and letting us help diagnose the problem for you. We can walk you through what options you have, and decide which is the best, and healthiest, route to take. 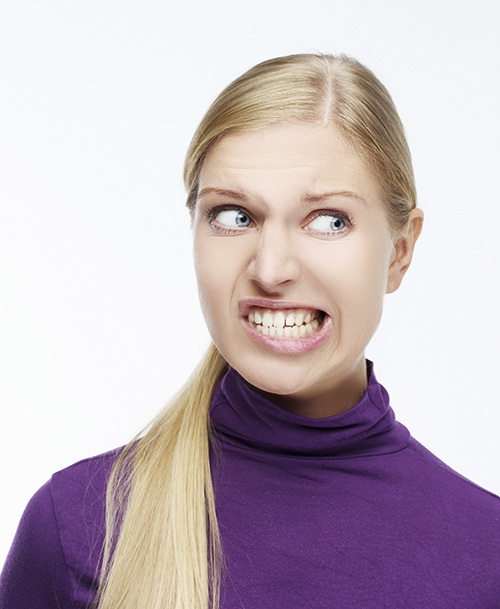 Here are some of the most common ways of treating bruxism and how they may help you. The most common bruxism treatment is using a mouth guard. This simple piece of plastic is made from a mold of your mouth. You simply put it in when you would normally grind or clench your teeth, and use it instead. Many people sleep with it at night since that is when most bruxism occurs anyway. It can protect your teeth and keep you from having a sore jaw the next morning. There are times where more treatment needs to happen than just using a mouth guard. In these cases, you may need crowns placed on the damaged teeth, or even stress management options. One of the most common times to clench or grind your teeth is when stress hits. If you learn to manage your stress, it often alleviates the need for other types of treatment. Bruxism is a treatable condition. However, you have to have it diagnosed first. If you wake up and your jaw is sore, or you have regular temple headaches, then you want to come in and see us. Let us run some tests and check the condition of your teeth to see if you have bruxism. If you do, we have several treatment options at our disposal to help protect your teeth.